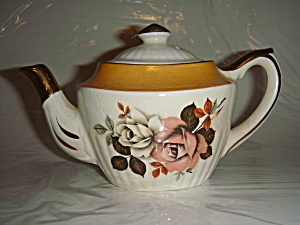 One-cup tea pot teapot marked Gibsons Staffordshire England with a crown emblem. No chips or cracks, but crazing consistent with age. Lots of gold trim and luster. Displays beautifully!